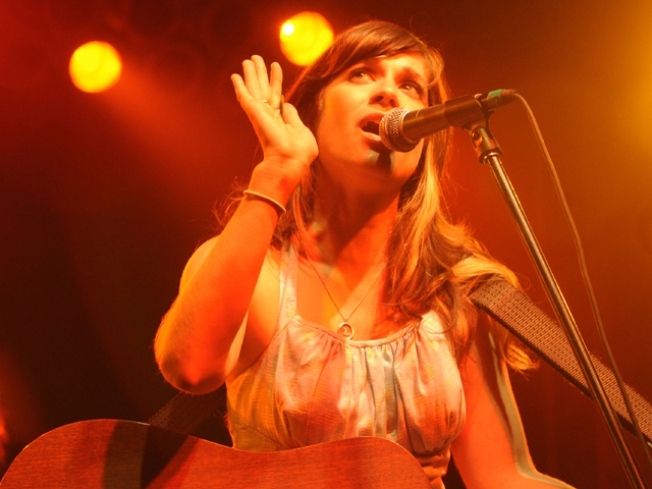 Nicole Atkins will be at 92YTribeca tonight. ATKINS DIET: We’ve fawned over bombastic “pop-noir” purveyor Nicole Atkinsbefore around these parts, so instead of embarrassing ourselves again, we’ll direct you to a quote from the folks at 92Y Tribeca, where she’ll play with her band The Black Sea tonight: “Atkins writes songs that could have come from … an updating of 'Grease' as directed by David Lynch.” So true. Brooklyn duo Kaiser Cartel opens. 9:30PM. POUR FAVOR: Know what your weekend needs? A proper happy hour kick-off – and at the Bottlenotes Around the World in 80 Sips event, you can sample 80+ wines from five continents poured by dozens of wineries, all while nibbling on goodies from Artisanal, Salumeria Rosi and more. We’d describe that as the happiest hour of them all. 6:30-8:30PM. DANCE DANCE REVOLUTION: There’s an almost Olympic urgency to 60x60 Dance, an express marathon of choreography that presents 60 new dance pieces set to 60 pieces of music, each lasting 60 seconds. The madcap, exhilarating event – happening twice today, at 12:30 and 7PM – is perfect for those with cultural ADD. Free in the World Financial Center Winter Garden. Got a tip? Email us.